You may recall that at least a portion of this blog is supposed to be dedicated to gardening. My wife has done a great job upholding the “She Sewed” aspect of our life, but where have I been with the “He Sowed?” But c’mon, cut me some slack, we’re in the middle of February now, and although it’s a sweltering 40 degrees and the birds were out in full song this morning, winter is still very much here. And it’s been here for quite some time. 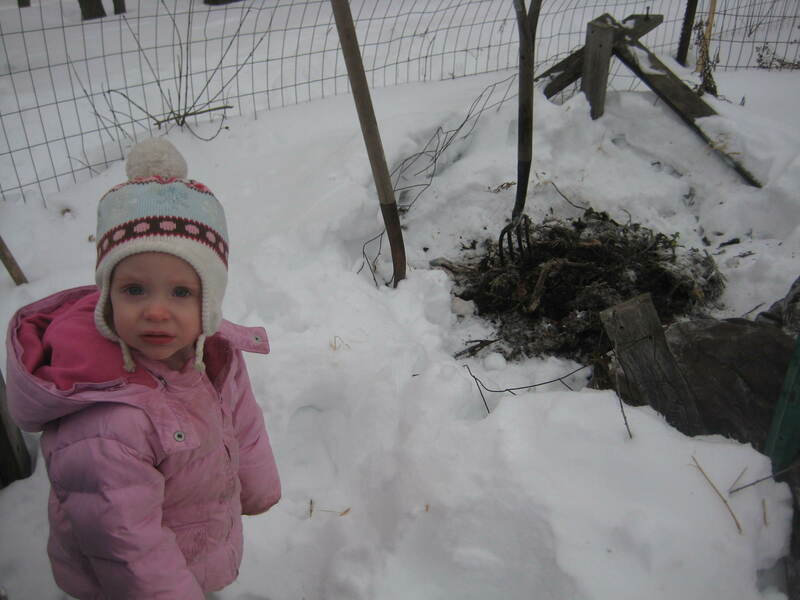 How am I supposed to write about gardening when the garden is still slumbering beneath a foot of snow and the only ones benefiting from the compost are the mice who’ve tunneled their way throughout my pile of frozen kitchen scraps? First, delicious butternut squash! We didn’t grow any ourselves, but a friend from Iowa brought some up from her farm and we gladly accepted. 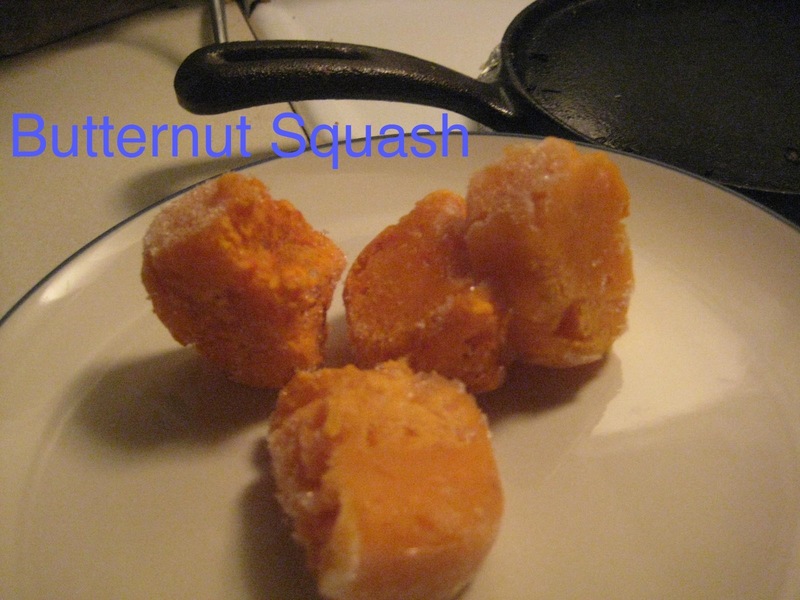 Squash makes easy baby food and is simple to prepare. We simply baked the squash until soft, scraped it into an ice cube tray, and stuck it in the freezer. We still have several cubes and occasionally feed them to our littl’un (after thawing, of course). 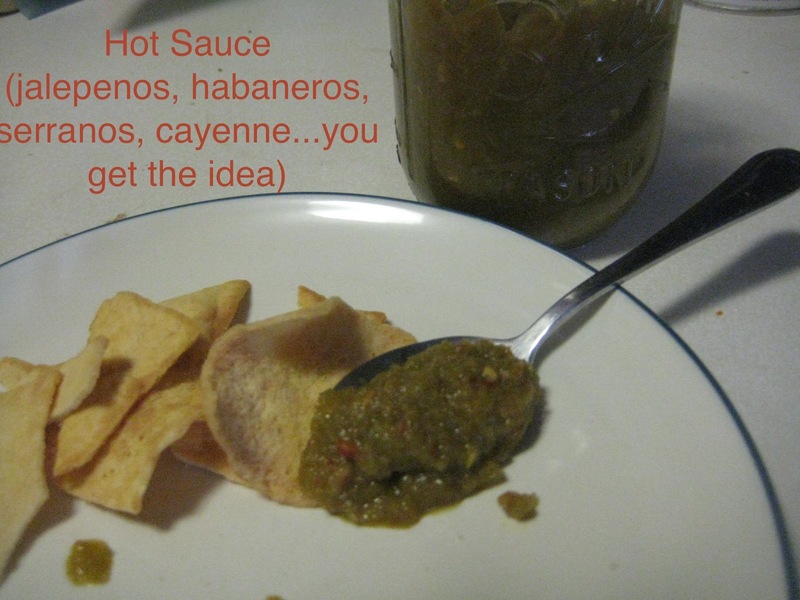 Next, a violent, delicious hot sauce. I am a pepper lover, and this sauce is loaded with ’em. We grew jalepenos, serranos, cayenne peppers, and…habaneros! I got the idea from our seminary friends, who also grew a load of peppers and canned several jars of the stuff. The recipe allows for some nuance and personal adjustment, but basically you just combine as many peppers as you want, throw in a few onions, several cloves of garlic, vinegar, lime juice, and season to taste. Our neighbor goes heavier on the salt, but with mine I added a touch of brown sugar for sweetness. Blend it all together and simmer it down to desired thickness. It lasts quite long because you really don’t need much to liven-up any dish. But not all peppers have to go in the hot sauce. I’ll put peppers in almost anything so it’s nice to always keep some around. These brilliant cayenne peppers came from my uncle’s garden in Fergus Falls, MN, and they dried wonderfully in our kitchen all fall. 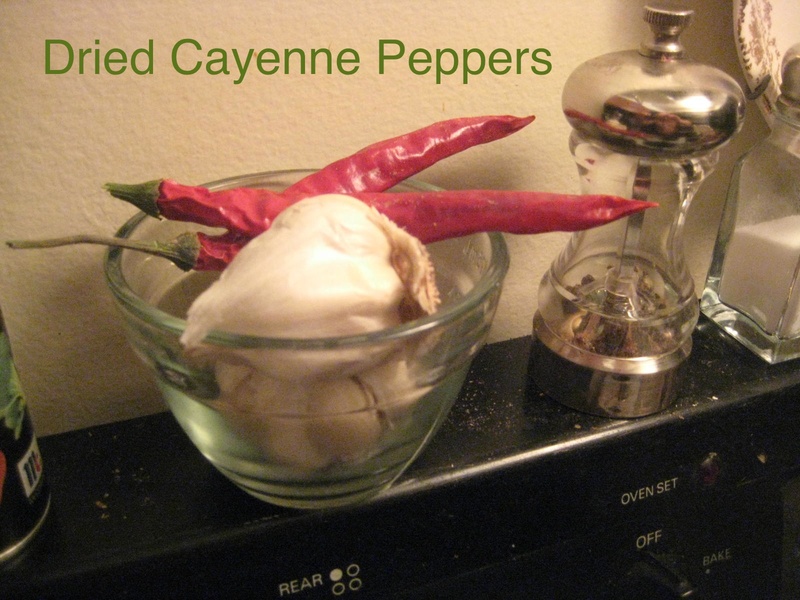 I’ve been on a homemade-hummus kick for several months now, and I love using these dried peppers when I blend my hummus. They can be also be ground-up and used as a spicy seasoning. These are my last two! Tragic! So that’s a look at the way the garden lives on even in the dead of winter. Sure, we haven’t knelt in the dirt or rinsed the mud off our fingers for several months now, but in little ways we’re reminded of the work we gave and the fruit we enjoyed. And these little reminders will suffice for a while longer while we await the return of spring. I really love reading your blog. This latest post Jared is a wonderful sermon! Put it in your files. Can’t wait to give Caitlyn material for her part when we sew again in the fall in Boulder! Anyway, your post made me hungry. We have finished the last of our canned rhubarb sauce and only have two jars of peaches and cherries left. We still have some peach honey (made by boiling peach skins and sugar and water); I use this in cooking and on pancakes if we should run out of maple syrup. You are wise in never turning down free produce. Even if it is zucchini – free is always good. 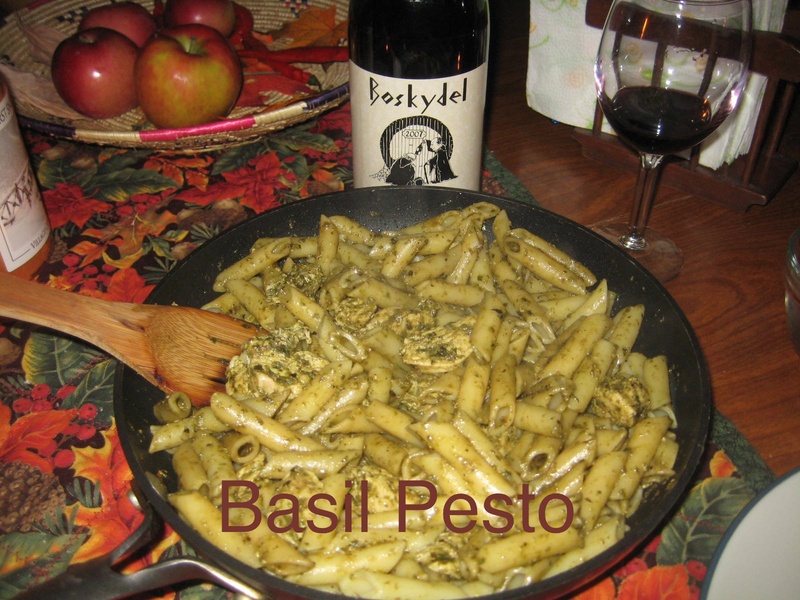 Our pesto is a distant memory. We will be planting more basil this year because one can never eat too much bruschetta. With home grown tomatoes, garlic and basil? Yum! Enjoy both of your perspectives on this blog.